I usually don’t tell the kids when we are going places until the day of. I believe that it’s better to be surprised than to encounter the anticipation, unrest, and 1492 questions of when “the event” will occur. We get our fill of that at Christmas. 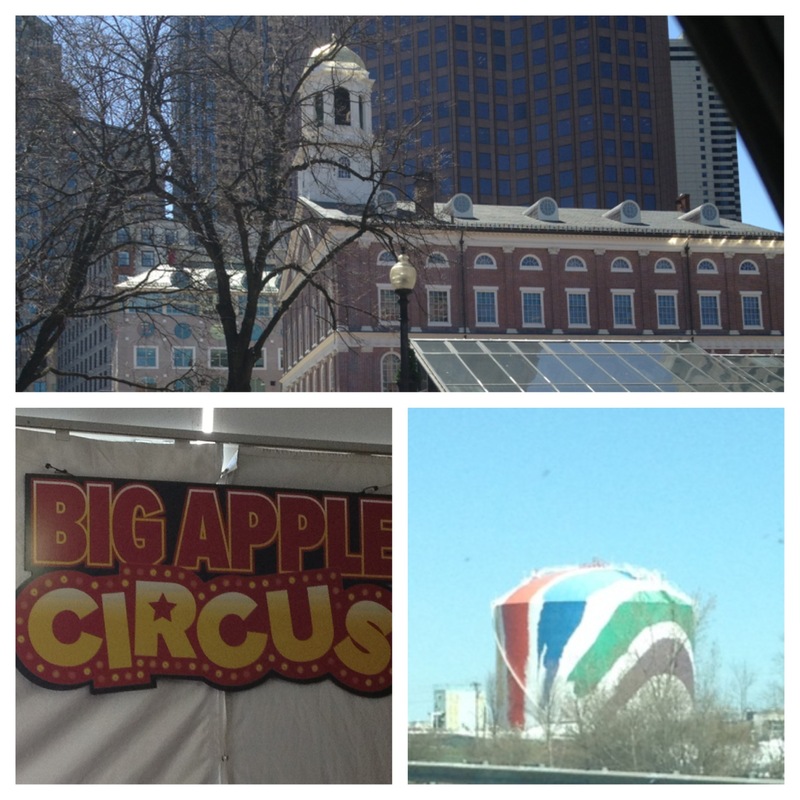 But just yesterday morning I let it slip that we were headed to the circus on Wednesday afternoon. It was April vacation, I was home, we were on our way to spend the day at Patriot Place and I was going through the agenda of the week with the boys. My oldest was so excited to see the animals and the jugglers, and my youngest ran around repeating “Circus! Circus! Circus!” I was also excited to take them. After an afternoon in Foxboro spent enjoying the sunshine, playing in bounce houses and a picnic on the Pats Logo, we ended our afternoon and packed back into the car. Just as everyone was settled in, I received a call from my husband. There had been 2 explosions at the marathon finish line. Chills ran through my body. I could feel the hair on the back of my neck stand up. Please oh please don’t let this be an act of terrorism, not in our city. We had friends there, but my husband thought they were ok. He was going to try and get some information, but said he would see me at home. I desperately wanted to turn on the radio, but my 5 year old was wide awake and I wasn’t sure what was going to be reported. I couldn’t let him hear any of it. I wouldn’t expose him to that. Not until I knew. And now I have to think about the darn circus. Do I go and expose my children to whatever lies in the City that we all love so dearly? Do I stay home and let some crazy person take away the memories I was going to create for my children? JP: Mama! Today is the day we are going to the circus!!! I’m so excited! Me: Why are you excited? JP: Because there are lions and it’s in my favorite city! Me: What city is that? JP: BOSTON! I just love Boston! It has the Red Sox and the rainbow gas tank! And, just like that, I knew we were going. 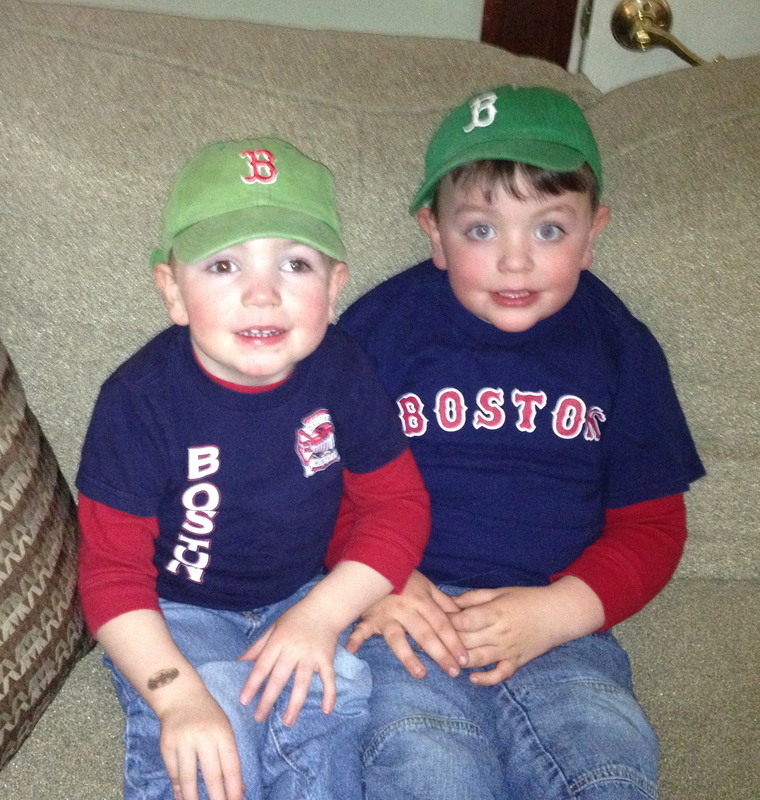 How could I take away the innocence and the love that my son had for our beloved city? We went. I was a nervous wreck. We saw the men and women of our law enforcement in full force and my stress levels decreased slightly. The boys had a blast, and I’m glad we went. I’m writing this close to two weeks after the attack. My heart still hurts for the victims and their families. My heart aches for the children who will grow up without the feeling of security that we once had. My heart is strong for those who are going on. I struggled with wanting to hear all the news 2 hours a day while keeping my kids innocent. In the end we did talk to them about the attack but they are a bit older than your little guys. I am so glad you went to the circus despite it all. I love this article to help your kids in these times, http://www.care.com/child-care-how-to-talk-with-kids-about-violence-p1017-q27256439.html.